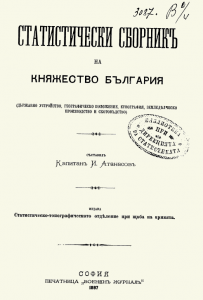 On the eve of the national day of the Republic of Bulgaria – March 3, and 120 years since the first statistical compendium of the Principality of Bulgaria has been published Digital library of the National Statistical Institute provides free online access to digital copies of the publication. 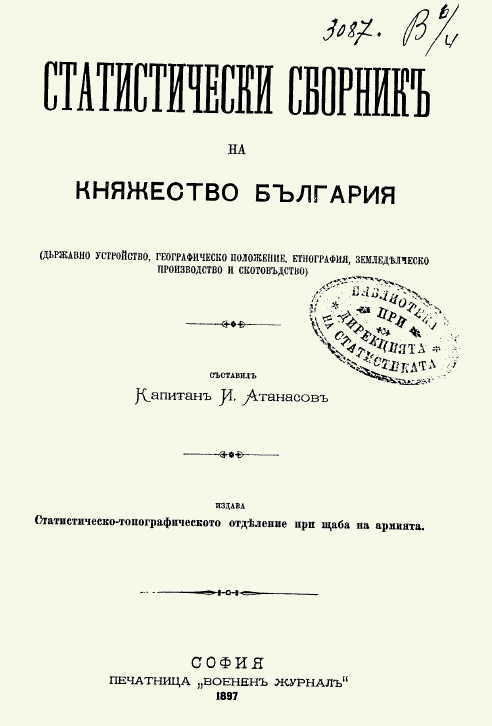 The Compendium was published by the Statistical Topographic Department at the Headquarters of the Army in 1897. Captain Atanasov was the compiler. The publication contained information on state structure, territory, geography, ethnography, farming and stockbreeding. Information for the king’s family and succession to the throne, for Bulgarian shield of state, state seal and flag. In the issue an information about legislative and executive authority, Supreme Audit Office, the administrative division of the country, financial and customs departments, judicial and church governance structure was included. The hydrography of the country – rivers, lakes, Black Sea and Aegean Sea basin, was presented in details. Demographic data occupied a substantial part of the publication, as comparisons were made between the results of the Censuses in 1888 and 1893. Population movement was published in counties and districts. The publication contained statistical data and maps on the composition of the population by religion, mother tongue, literacy, gender, population density, etc. Agricultural and industrial productivity was presented by data and analyzes, and livestock – by statistical maps.